We facilitate strategic planning meetings to help your team get aligned around a clear vision and action plan. Use a trained facilitator and take advantage of our proven process for creating a clear strategy and maximize your investment in your strategy development. Our skilled facilitators guide the meeting, so you don’t have to; allowing you to fully engage & focus on the dialogue with your team. We also conduct the pre-meeting planning and deliver the final action plan. 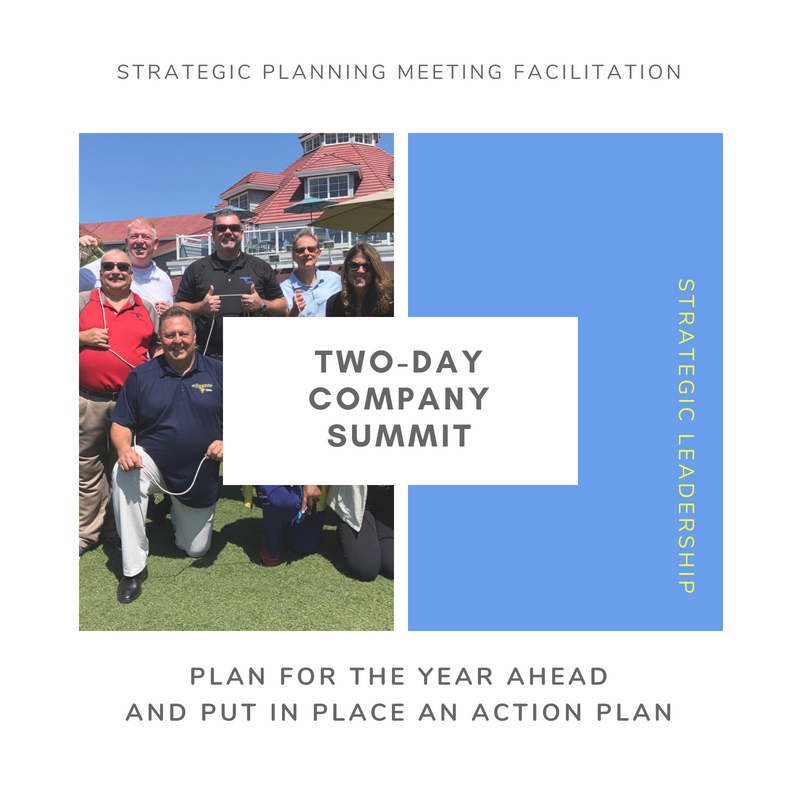 Request a complimentary consultation so we can learn more about you and your goals..
Use a one-day strategic planning session to re-align your team and refresh your strategy. Never done strategy planning before? One-day sessions including pre-work, recap and follow up support begin at $2,500. Contact us to discuss your needs and for a walk through of the process. Is your company evolving quickly; or are you operating in a competitive environment or in an industry with rapid change? A two-day planning session is perfect for a business that is generating over five million dollars in revenue and has a staff of 20 or more. Two-day planning sessions including pre-work, recap and follow up support begin at $5,500. Once we create the foundation for your strategic plan, we are available to support your team in executing the plan successfully. When you have someone to keep you accountable you'll be more likely to implement your action plans and hit your goals. Contact us for a complimentary consultation and learn about the benefits our clients have received by working with us long term.